How to understand human behaviour has been a very intriguing question to medicine, computer science, economics, psychology and finance. Each discipline has been trying to study and predict human behaviour through surveys, laboratory-based experiments, questionnaires, interviews, statistics, focus groups; the list is endless. The lack of precision in the existing techniques to predict human behaviour has motivated researchers to move beyond the traditional and search for new and improved techniques. Neuroscience has stepped in to fill this gap. It is based on the assumption that human behaviour is a complex process which has a neural basis and the locus of this process is the higher centre of the brain. Both conscious and unconscious processing of stimulus in the brain is responsible for generating behaviour. So if we could develop a deeper understanding of how the brain functions to generate behaviour, we would be more confident in our understanding and prediction of consumer behaviour. The use of neuroscientific techniques, like functional Magnetic Resonance Imaging (fMRI), Electroencephalography (EEG), Evoked Response Potential (ERP), and sensors to measure changes in one's physiological state, to understand the mind of the consumer has just begun, and professionals in the field see a huge opportunity for neuromarketing in India. 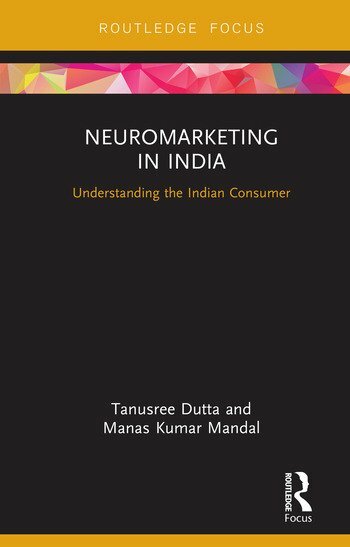 In the domain of neuromarketing, one important question relates to the distinction between Indian and other global consumers of commercial products. Are we different from consumers across the globe? The answer is probably ‘yes’. This is documented by the fact that we find a distinct change in the marketing strategy of companies; the methods to influence Indian consumers are different from those adopted in other countries. This gives rise to the question: what makes us different? The next logical question that arises, assuming that we are different or similar, is can we quantify it? Answering why, what and how we are different marks the beginning of the book, followed by issues related to the ethicality of using such techniques to promote marketing, risk analysis in case of failure and future directions in neuromarketing. The book intends to address each of these issues so that a comprehensive reading in the subject matter would help academicians to decipher consumer behaviour and build theory for possible principles of application in the market. Tanusree Dutta is Assistant Professor at Indian Institute of Management, Ranchi, India. She holds a PhD from the Indian Institute of Technology, Kharagpur. Manas Kumar Mandal is presently serving as the Distinguished Visiting Professor of Psychology, Indian Institute of Technology, Kharagpur. Prior to this, he was a Distinguished Scientist and Director General–Life Sciences at Defence Research and Development Organization, New Delhi.